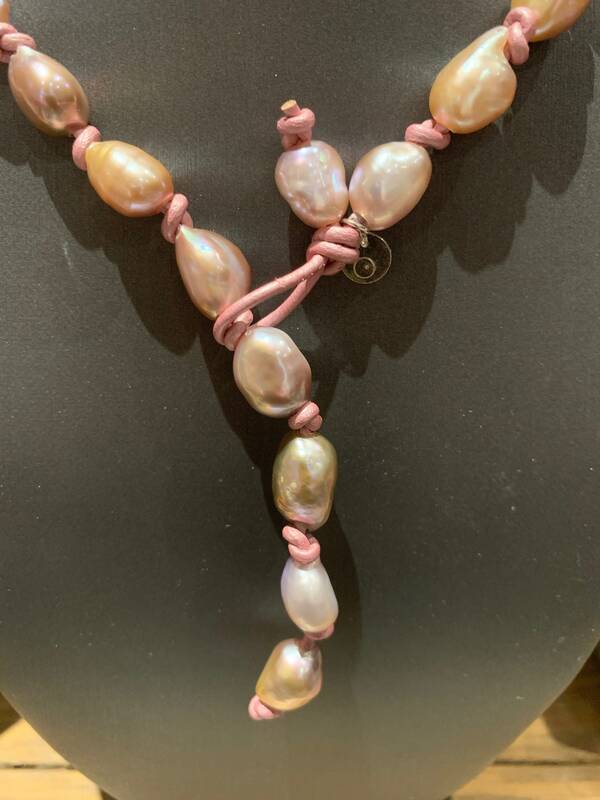 This adjustable pink baroque freshwater pearl necklace is perfect for spring and summer. 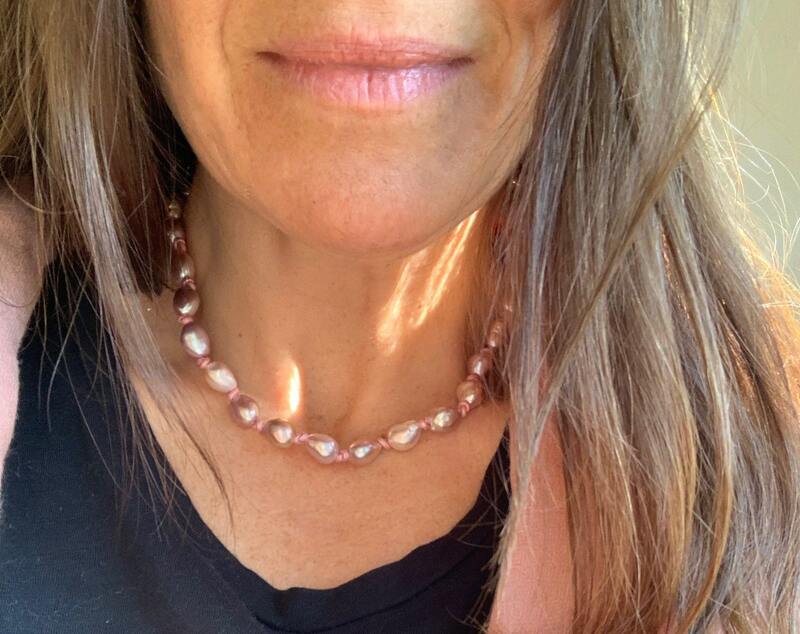 The pink pearls have some warm bronze tones, and the leather is metallic pink. 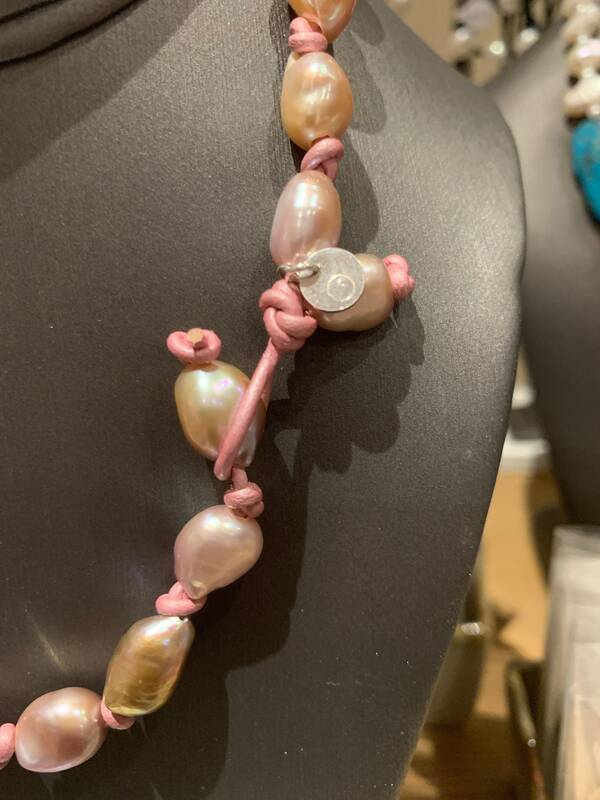 An image above shows the loop that hooks over the pearls to adjust the length. 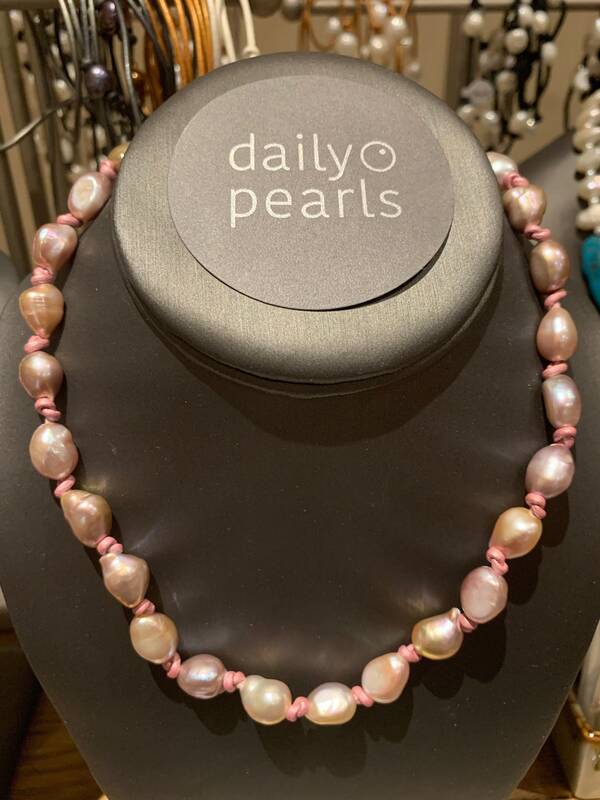 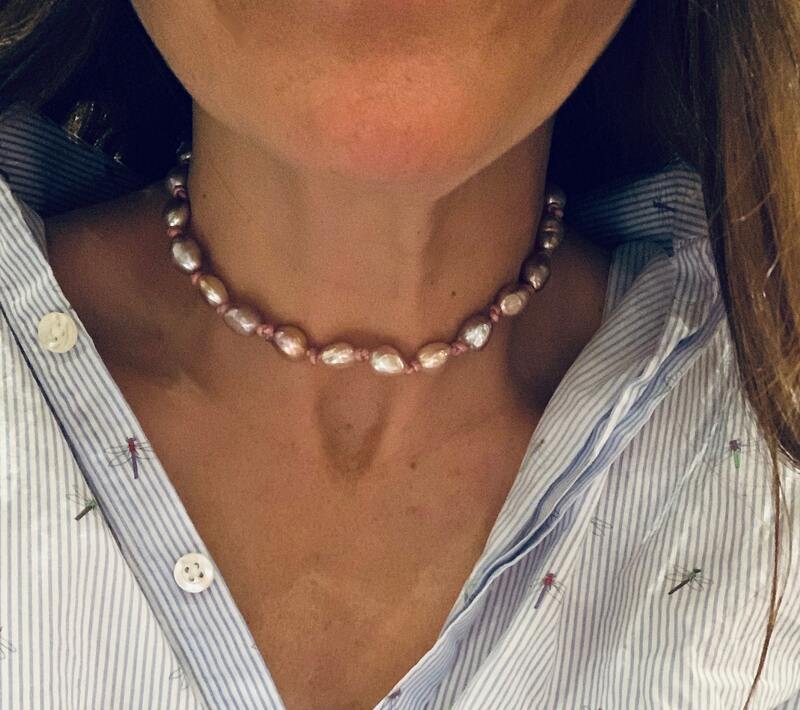 The loop can go through any of the end pearls, so the necklace can be worn as a traditional 18-inch strand, an on-trend 16-inch choker, or a dramatic 14-inch collar.